The fight against Yakuza, the most important and powerful mafia group in Japan, has now reached the crypto sphere. 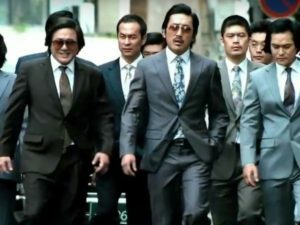 According to recent research, the Yakuza may be using cryptocurrency to mobilize and fund much of their illegal operations, and bitFlyer may be making things easier for them. In the past, bitFlyer, a well-known Japanese Exchange, has been investigated by various bodies such as the FSA who have concluded that the company’s KYC policies are so deficient that they might potentially facilitate money laundering operations. The FSA’s accusations were confirmed when a user reported a few days ago that his withdrawal request made on June 25th was processed and approved on July 2nd, which is not normal, especially for an Exchange with the trading volume and the importance of bitFlyer. According to the FSA, to counter this situation and help in the fight against the Yakuza, bitFlyer has delayed some of its operations. This move aims to investigate and monitor the accounts to identify illegal activities. Along with this decision, bitFlyer also agreed to stop accepting new customers. According to Nikkei, this decision could be prolonged indefinitely due to the limited workforce of the Exchange. Previously, the FSA made a strong statement, practically hinting at the possibility that if KYC’s policies were upheld, bitFlyer could be considered an a ssistant or accomplice to those who violated the rules (in this case Yakuza and money launderers). According to Mainichi Newspaper, some branches of the Yakuza can earn several million dollars a year. An official statement is expected to explain how important the Yakuza’s participation in the Japanese market could be. Also, no major decisions have yet been made against the exchange bureau, so it could be concluded that the actions taken by bitFlyer could be satisfactory enough for the Japanese government. The post Crypto Thriller: bitFlyer Wants to Fight the Yakuza appeared first on Ethereum World News.